After just 20 days from the date of writing this overview, the film will be released on the big screens. It is unusual in that the main roles in it played by its writers. Obviously, they have gone the same way as Sylvester Stallone did, who in exchange for a fee for a movie, has played a major role in his Rocky and win the million-dollar jackpot. 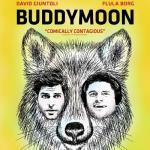 We don’t know what sort of financial conditions have Flula Borg and David Giuntoli – actors, writers, producers, and God knows who else in this film. It is their benefit without understatement. It is about two best friends who decide to go hiking for a week. One of them takes a place of the former wife of the first, who has organized this campaign. Two antagonists are here – an intelligent, thoughtful first & fully wild, with very improper English & full of adventurous spirit other. This is the sitcom in a large-scale, in a film, where the forest is just a backdrop of ongoing insanity. However, we suspect that the trailer collected a bigger part of best moments, just like Angry Birds in Movie (which, frankly, was very disappointing – all the funny moments were without exception contained in the trailer).